The 2018 World Cancer Congress, entitled ‘Strengthen. Inspire. Deliver.’ was held in Southeast Asia for the very first time. 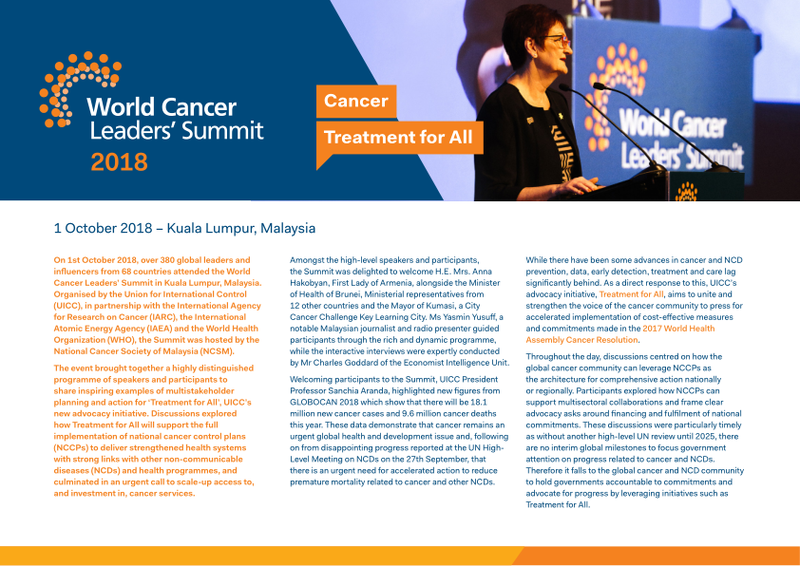 The National Cancer Society of Malaysia, supported by the Malaysian Ministry of Tourism and Culture and the Malaysian Convention and Exhibition Bureau, hosted the 25th edition of the Congress. The Congress took place a couple of days after the UN High-level Meeting on NCDs in New York, so it gave us an opportunity to reflect on progress made in addressing cancer globally. 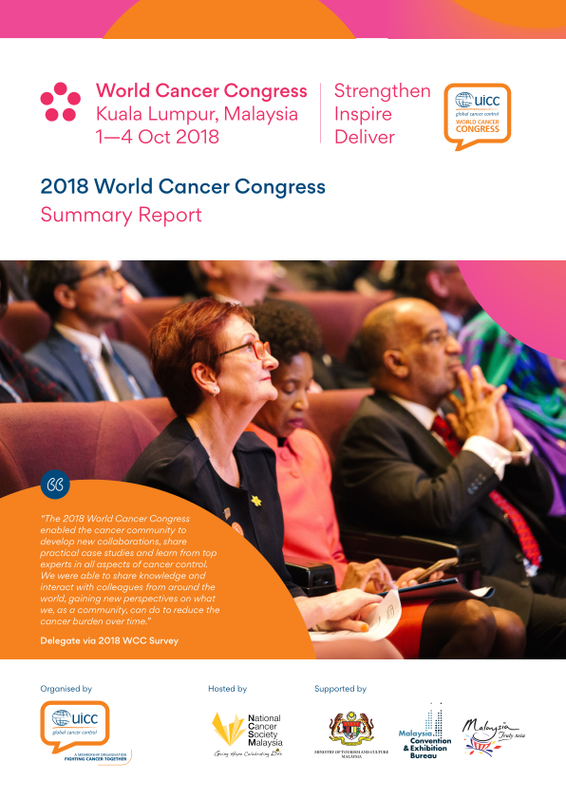 The Congress featured five Tracks covering the breadth of challenges faced in improving cancer control at a global, regional and national level.